What a boring network FOX was this year… and I am not just talking about the lackluster lineup, but also the cancellation/renewal predictions. FOX decided very early on the fate of most shows and whatever was left wasn’t hard to guess. I am not happy about Glee’s two year renewal, come on, take it a year at a time… Yes it makes me jealous because of so many other shows I wish would get 2 season orders. I am a little sad about Touch, but I will survive. And as soon as they officially cancelled Touch, rumors of a 24 revival started going around. I don’t know if that will happen, but I have to admit it is probably a better use of FOX’s beloved star Kiefer Sutherland. I have been complaining a lot about how FOX’s lineup isn’t fresh or edgy anymore, but I am very excited about the new shows planned for next season! There is a lawyer show with Greg Kinnear (Rake), the Kurtzman/Orci adaptation of Sleepy Hollow, Almost Human written by Fringe’s Wyman and produced by JJ Abrams and finally Gang Related with one of my favorite TV actors Terry O’Quinn. It all sounds amazing to me. 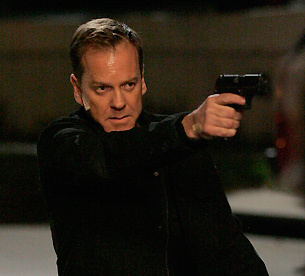 It has been confirmed that 24 is coming back as a limited series of 12 episodes... yes 12, not 24. I am not OK with that, the whole point of 24 is to have 24 hours of television! Apparently they are skipping hours... well... it surely will do better than Touch. Touch is brilliant, BRING IT BACK!!! I agree, I am very sad about Touch!! !